Jefferson Memorial Gardens, South, Hoover, Alabama, was established in 1959. The 44 acre cemetery provides perpetual care, to insure that the cemetery grounds are taken care of for years to come. Complete with walkways leading to significant monuments and statues personalizing eachof the individual gardens, the cemetery is beautifully landscaped and surrounded by woods on several sides. The gardens include: Field of Honor, designated for veterans and their spouses; Masonic Garden; Garden of Faith; Garden of Devotion; Garden of Resurrection; Sermon on the Mount; Babyland; and Garden of theOld Rugged Cross where our annual Easter sunrise service takes place. Two new gardens are currently under development, Serenity Garden and Garden of Hope, which will feature upright monuments. 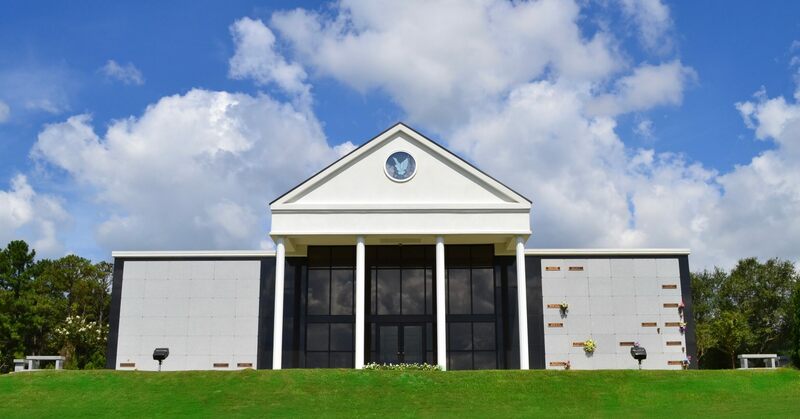 For those who do not prefer traditional ground burial, Jefferson Memorial Gardens, South, offers above-ground entombment with our community mausoleum and also private family mausoleums. For those choosing cremation, niches are available.